The Ameropa Australia Leadership Team is comprised of six company executives, headed by the Chief Executive Officer. You will see from their biographies the depth of industry expertise that the Leadership Team embodies. 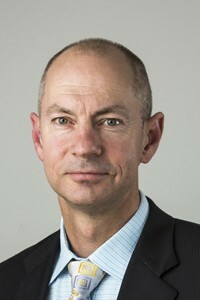 Jim Mole joined Ameropa in 2013 as Chief Executive Officer with a primary focus on completing the integration of various prior acquisitions and taking the business to the next level. He has full P&L responsibility for Ameropa Australia, covering all Commercial, Manufacturing and Operations activities as well as all support functions. Before joining Ameropa, Jim spent the previous seven years with The Chamberlain Group, most recently in the capacity as Managing Director for the Oceania region. By joining the fertiliser industry, Jim has returned to his agricultural roots. 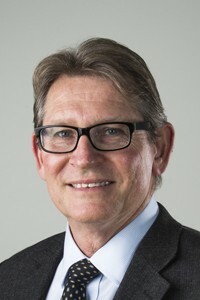 After growing up on a farm in the Redlands district of Southeast Queensland, he graduated from Gatton College in 1987 with a Bachelor of Applied Science (Horticultural Technology), with First Class Honours. A 16 year career with Dow Chemical covered various Australian assignments, along with General Management roles in New Zealand, the Philippines and Vietnam. Jim brings significant business leadership experience to Ameropa, with a proven track record for acquisition integration, along with strategy development and execution. He has also had considerable success effecting major organisational change management and culture development, as well as establishing strong and effective leadership teams and outstanding corporate cultures that foster high performance. 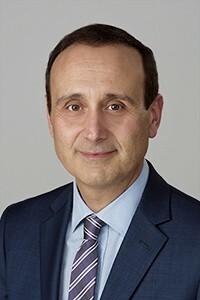 Sam Aliano was appointed General Manager, Finance and IT in July 2015 and he has full management responsibility for Finance and IT for Ameropa Australia. Sam came to the business when he joined HiFert in 2005, before that business was acquired by Impact Fertilisers in 2011. During this time he has held the positions of Senior Management Accountant and Finance Manager. Sam held previous positions as Senior Management Accountant at both Ericsson Australia and National Can Industries. Sam has a Bachelor of Business (Accounting) degree from Victoria University and is a Certified Practising Accountant. Sam is responsible for the financial reporting, management reporting, budgeting and forecasting, internal audit, external audit, treasury, taxation, credit, accounts payable, IT and payroll functions. Since joining Ameropa, Sam has helped build the finance function, and developed the financial systems and process across all areas of his responsibility, with a focus on control and process improvement. Julie Davis joined Ameropa Australia in May 2017 to take overall leadership responsibility for building upon the significant gains that have been achieved in employee alignment and engagement in recent years. Julie has extensive experience as a Human Resources professional in different industry sectors, most recently at The University of Melbourne where she held management roles in Faculties as diverse as Education, Engineering and Medicine. Prior to that Julie worked as a consultant with global mobility experts the International Consultants Centre, and held senior positions with Axa, Newcrest Mining in Melbourne and Brisbane and BHP Minerals in Brisbane. 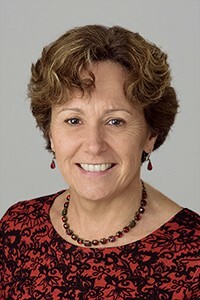 Julie holds a Master of International Business from The University of Melbourne, a Bachelor of Business (HR Management) from the University of Southern Queensland and a Certificate in Financial Markets from FINSIA. Julie has proven ability in coaching and mentoring, leadership development and change management, and is passionate about continuous learning. To that end she continues her own learning and development through membership of the Australian Institute of Company Directors (AICD) and as a Chartered Member of the Australian Human Resources Institute (AHRI). 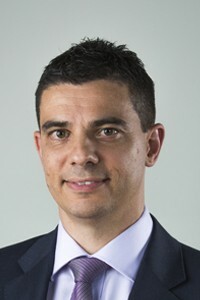 Bruno De Luca joined Ameropa Australia in April 2017. He is responsible for managing our extensive footprint of wholesale distribution facilities throughout eastern Australia and also has primary functional responsibility for EHS for the company. After completing a Bachelor of Engineering (Chemical) degree at RMIT University in 1988, Bruno started his career in the agricultural chemical industry, working at Monsanto for over 14 years, in various manufacturing and operations roles supporting ANZ & Asia Pacific. He also spent 8 years at Huntsman Chemicals as General Manager, Manufacturing (responsible for a multi-plant manufacturing complex producing various petrochemicals, plastics and resins) with a broad range of responsibilities including Operations, Engineering, EHS, Quality, R&D and Supply Chain. Bruno also has experience in business improvement processes and supply chain management in the chemical industry, in various roles at Nuplex Industries and Sinochem Australia, prior to joining Ameropa. He brings a strong focus on leadership, safety and continuous improvement management, ensuring the distribution network remains a competitive advantage for our business. Wayne Newitt joined Impact Fertilisers as Operations & Logistics Manager during the initial expansion phase of the company’s mainland business. He is now responsible for the company’s Single Super Phosphate manufacturing plant. Commencing his career with CSR Sugar as a process engineer, Wayne undertook manufacturing, operations, training and organisational development roles over the first 10 years of his career based in Adelaide, Brisbane and Melbourne. A move to CSR Distilleries commenced Wayne’s current specialisation in bulk logistics and operations which has since spanned the food, chemicals, petroleum and fertiliser industries. Graduating with Honours in Chemical Engineering from Adelaide University, Wayne has actively continued his professional development with a Grad Dip in Management and Master of Marketing degrees from the Melbourne Business School. Geoff Pelizzo joined Impact Fertiliser in October 2011, and took on the role of General Manager, Sales and Trading in June 2012 to manage all Sales, Marketing and Agronomy Services activities. In early 2014 his title changed to General Manager, Commercial. Before starting with Impact Geoff spent seven years with Hi Fert, most recently in the position of General Manager, Sales and Marketing. Geoff has had extensive experience within a number of agricultural supply businesses in a career spanning 30 years. After completing a Bachelor of Applied Science (Rural Technology) at Gatton College, Geoff began his career as an Agronomist with the specialty fertiliser company Phosyn. He then transferred to Amalgamated Chemicals (later to be known as Rhone Poulenc) and began a 10 year career progressing from technical research roles to marketing, sales and management roles. After seven years with Rhone Poulenc, Geoff moved from the Ag Chemicals sector back to the Fertiliser Industry in Brisbane, initially as Marketing Manager of Phosyn PLC. Three years later he took on a role with Sumitomo Corporation as General Manager, Summit Rural Australia. After 7 years the Summit business was sold to Hi Fert. Geoff brings significant agricultural market knowledge and experience and a track record of being able to build successful customer and stakeholder business relationships. He also has a proven ability for team leadership and strategy development and execution. Conal Wills joined Impact Fertilisers in 2014 in the role of Regional Sales Manager, managing our sales team in the southern states. In 2017 Conal took on the role of General Manager Browns, with full responsibility for the Browns retail business encompassing agronomy, logistics and spreading services. Conal has a track record of transforming and building successful teams. He has extensive agricultural experience and holds a Bachelor of Science (Horticulture) and a Post Graduate Certificate in Business Management. Prior to joining Impact, Conal spent nine years in agronomy and sales management roles in Western Australia, followed by a number of years working in business and operations management roles with the PHS Group in the United Kingdom. After returning from the UK, he held Account Management and Product Management roles at Incitec Pivot Fertilisers, developing a strong knowledge of the Australian east coast fertiliser market. 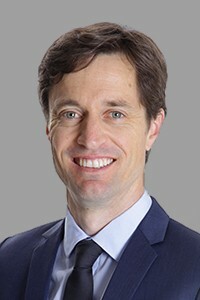 Ross Warren joined Ameropa Australia as General Manager, Trading in January 2019. His primary responsibility is heading up sourcing for the group and managing trade sales within Australia and New Zealand. 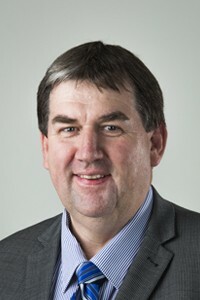 Prior to joining Ameropa Australia, Ross spent seven years with Koch Fertiliser, leaving as Managing Director. 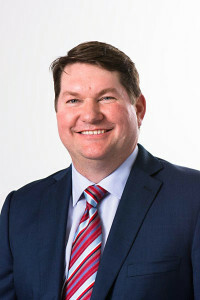 Agriculture has featured prominently throughout Ross’s career, initially in Sales, Marketing and Supply roles within the Fertiliser, Seed and Stockfeed Industries. He completed a Diploma of Applied Science (Agronomy) externally, while working in the agricultural retail space in Queensland. Ross’s affinity with Agriculture began from humble beginnings growing up on the land in Western Queensland, which has helped his understanding and empathy with the rural sector ever since. Ross started his fertiliser journey in 1996 with Incitec Fertilizers, and worked through a variety of roles, from Sales to Marketing Manager before taking on management roles with Pacific Seeds and CopRice, and then returning to the Fertiliser industry in 2010. Ross brings a great depth of experience in Agribusiness, with strengths in Channel Management, Business Development, Strategic Management and Procurement. His recent experience working for sizeable International businesses has expanded his cultural experience throughout the Middle East, the Americas and China, key regions for Australian fertiliser imports.